Have you always dreamed of starting your own restaurant, but know you'll never be able to come up with half a million dollars to do it? Concession trucks and trailers can get you in business for about a tenth of the cost of starting a restaurant. OK, yes, I'm preaching to the choir here, since you probably already know this, or you wouldn't be searching online for information about concession trailer financing. Are you ready to start a mobile food business, (or just growing your existing empire)? I'll show you how to finance your equipment. (Just in case you don't have a small fortune socked away to write a check for all the things you need to get into the business and have enough left over to actually buy gas and food). Food Truck Vs. Concession Trailers - Which is better? Many people look into concession trailers because the payments will be lower than if they were to be financing a food truck. 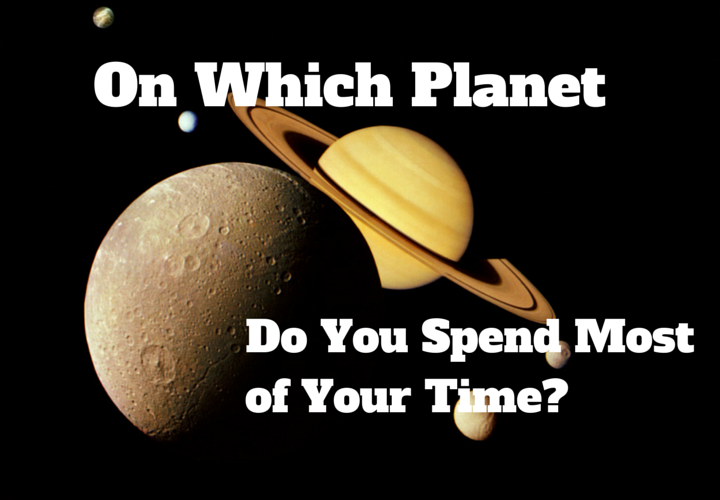 There are plusses and minuses to each. Many people that are looking at food trailers choose them over a full truck due to price - food trucks that are fairly new can easily run $60,000 or more if you want equipment that actually works. However, you can find fully loaded concession trailers in the $20,000 to $30,000 range in good condition all day. So, why would anybody buy a food truck if trailers are cheaper? First off, a food truck is easier to maneuver as compared to a truck and trailer, since it's basically just one big van. If you've never driven a truck with a trailer you may not be ready for how difficult they can be to park, so that is a consideration. Also, you may find it easier to have one unit to worry about, as opposed to worrying about both your truck and trailer. This is an important consideration when figuring out your business insurance, as you'll be worrying about insuring one business vehicle instead of two. 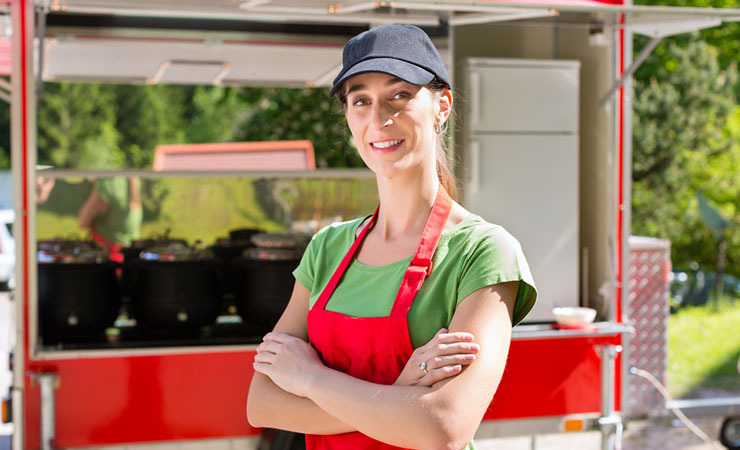 Tip: To get the lowdown on insurance for your mobile food business, check out Insuremyfoodtrailer.com. Whenever you have engine issues in a food truck, you're out of business until they can get fixed, which can mean several thousand dollars in lost sales. The choice between the two will mostly depend on your business - if you plan on mostly working "events" where you set up for a day (or sometimes even weeks), a trailer might be your best option (especially if you already have a truck to haul the trailer with) while if you plan to just drive and set up on the street for a couple of hours, a truck will probably be what you want to look into. Bonus Tip: If you're shopping for your trailer, check out www.foodtrucksellers.com, a resource that lists just about every food truck and concession trailer dealer and manufacturer in the US. What Types of Financing are Available for a Food Trailer? It's baffling that most of the people that write articles on starting a mobile food business only put the least likely places to get funding in their "ways to raise money to start your empire." Did you know you can go to the bank or the SBA? Well, duh.... I wonder if these folks have ever tried to get a startup loan from the bank. Just hop into your Bentley, but make sure to sit in the back seat and have your chauffeur drive you over, since if you qualify for startup financing from a bank you probably don't really need the money in the first place. Think you can be all 2015 and crowdfund your food truck? There's a website for that. Unfortunately, the average amount of money raised is zero. Other folks write on their blogs to go ask your nice aunt for money. The fact is, there are options to finance your food trailer that are actually viable for a small businesses. If you plan on buying a new trailer, your dealer may provide financing, and if you have great credit, you will likely qualify. If this is the case, and the financing is cheap (anywhere under 10 percent) that's your absolute best option. Of course, buying new does mean paying significantly more than if you were buying used equipment, so you'll have to do the numbers. When you buy a used trailer, or if you have less than perfect credit, or if you just started your business, you'll likely want to look at private financing options, which are typically arranged through companies like ours. What is the "Private Loans Market" for Concession Vehicles? For companies that don't qualify for "traditional" financing, meaning almost every small business, (and particularly startups), there is a thriving network made up of people that will lend to small businesses, provided the numbers make sense. This type of financing can take the forms of loans or leases, and it is not the best option for everybody - the chief drawback is that the financing will cost more than if you went through your bank. The players include banks that finance "equipment funders", hedge funds, and private individuals that are looking to make a decent return on their money. The benefit to you is that if you need business financing, depending on your situation it will usually be much easier to qualify and will take roughly 24 less hours of your time to put an application together - and funding will happen in days, not months. 1. The person lending you the money has to make enough to justify the risks in lending to you. 2. You have to make enough by using the trailer to justify the level of payments. "OK, so what are those numbers?" Let's talk about it from your side first, and then we'll relate that to making dollars and sense for the lender. How much Money Can You Make With a Concession Trailer? Both from industry statistics and our own totally unscientific analysis (talking to people), the typical mobile food business brings in $20,000 to $40,000 a month in sales. Of course, if your food is lousy, or if you don't figure out how to park your truck in the right places and/or promote yourself, you might have a different experience, but for illustration purposes, let's peg your sales right in the middle at $30k per month. This leaves you with $13,000 in costs, or $17,000 left over before accounting for payments on the trailer - which makes for a good business model. 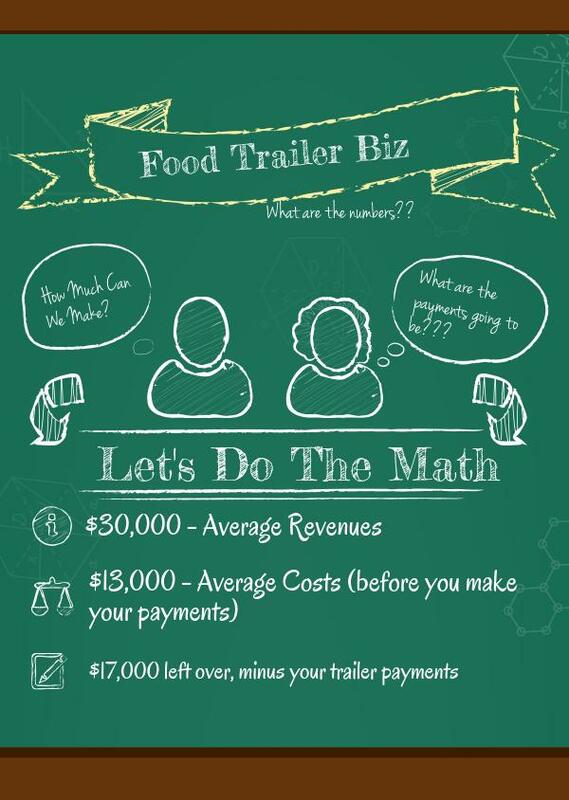 What are Payments on a Mobile Food Trailer? Payments will depend on a lot of things, including the cost of the trailer, how long you finance it for, what happens at the end (whether there is a balloon at the end or if you own it outright after making all your payments) and what your credit and finances look like. 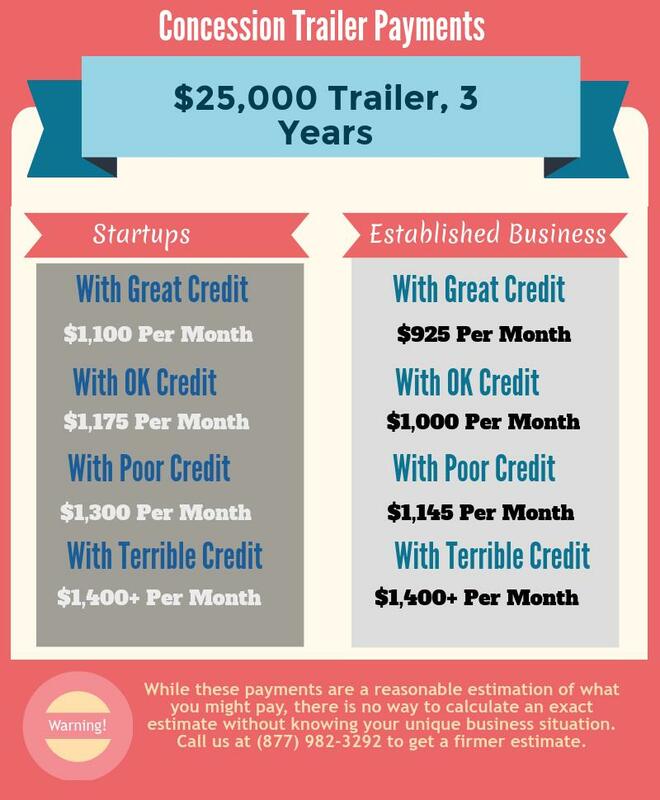 Let's assume you're buying a $25,000 trailer, and financing it for 3 years, owning the equipment outright at the end (with a final payment of $1). Your payments would depend on how long you've been in business for, so let's use 2 examples, one for a startup and one for having 2+ years in business. These payments do assume that there's a reasonable case to be made for lending to you, and credit isn't always the only consideration. If you've had a recent bankruptcy, or if you're starting with $6 in the bank, it's going to be harder to qualify (and, as a startup, you can almost always plan on needing to make at least a 10% security deposit or down payment). Will you Qualify to Finance or Lease a Concession Trailer? For the most part, most people in most situations will qualify for some form of financing.